My political idol, Senator Jesse Helms once said "I want our young people to believe as we did that there is no goal too high to reach if they are willing to work." We Teenage Republicans know this to be true, we constantly work to elect candidates who will fight for conservative values. In the past few years NCTARS has been one of the most dedicated groups of volunteers for candidates from county School Board races all the way up to President. High school students were crucial in electing Thom Tillis and taking back the US Senate this past election cycle. In the next two years TARS will continue to be crucial in the GOP's efforts in taking back the White House and Re- Electing Governor Pat McCrory. If you want to join us in making a difference in our communities and our country, please visit our "Join NCTARS" page or feel free to contact me or any Executive Board member. We look forward to hearing from you to move North Carolina forward. 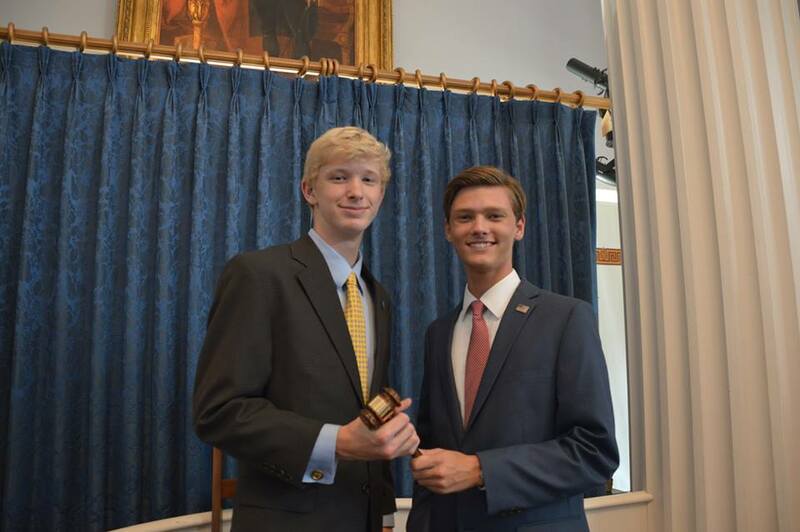 Former NCTARS Chairman Nick Vaughn, officially handing over leadership over to former Chairman Luke Stancil at the NCTARS Convention in Raleigh, North Carolina. 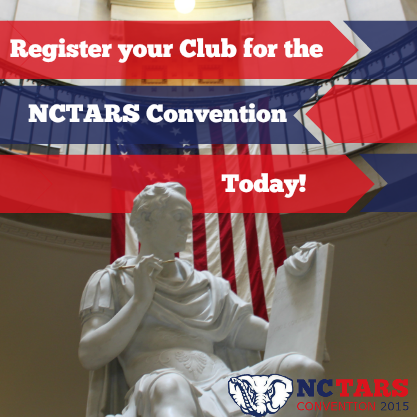 The Date and Time of the 2015 NCTARS Convention will announced in a following email, containing the Call to Convention. Convention will be held at the Old State Capitol Building in Downtown Raleigh, NC (1 E Edenton St, Raleigh, NC 27601).